Our Shooting Touch Coaching Staff is comprised of eight men and four women, coming from regions as far as Kigali to just within the East of Rwanda. Five of these coaches were previously Shooting Touch participants, rising up from a volunteer junior coaching position to now a full-time, paid coaching position. Although programming is run in four separate locations in the Eastern Province, coaches gather monthly at our Shooting Touch Coaching Clinics to review topics ranging from health education to basketball skills to mentoring youth. Our coaches are not just basketball coaches, but life coaches and health educators, available to our participants at all hours of the day. Shooting Touch coaches are running practices five days per week for our boys, girls, and women and operate league games and events on the weekends. Two days per week, these coaches are shifting gears from sport to health, where they educate each demographic on basic health knowledge derived from our Turikumwe Health Curriculum. 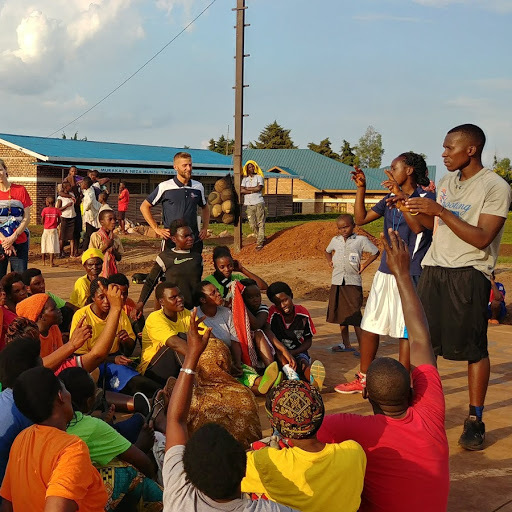 Our coaches are seen as responsible leaders within their communities; this leadership is seen in participation within community service every month, availability to aiding schools and Peace Corps in programming, and representing Shooting Touch in basketball trainings in Kigali.